Sharon Dennis and Doris Au MacDonald of The Braeded Chord have one mission: to make music and faith music in particular accessible to all! With that, they write, perform, teach, and lead worship and train others to do the same. They write using multiple genres for an intergenerational audience and attempt to reach as many as possible with their music and message. 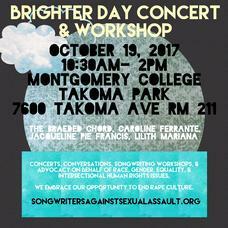 TBC is honored to be a part of this songwriter showcase against sexual abuse. Come join us on Thursday, Oct 19 at Montgomery College in Takoma Park, MD. Concert and workshops from 10:30-2pm. "... your original songs... display your creative and expressive essence. Your narration between songs helps to set up the mood effectively as few musicians do... reveal (ing) how or why you wrote a particular song, but more than that, how strong your values are despite the hardships of life. You spread both good music and good will wherever you perform..."
"... the music style of The Braeded Chord is very upbeat and yet touches the heart of the listener. 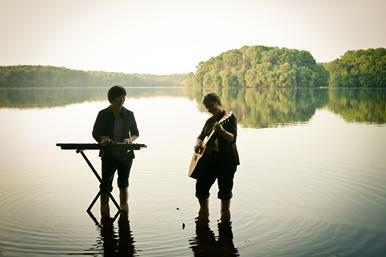 There is a positive sense of God's presence in their faith journey, expressed in their music... (which is) a great mix of the light and the serious and the spiritual..."
The Braeded Chord is a member of BMI, ASCAP, SAW (Songwriters Association of Washington DC) and WAMA (Washington Area Music Association).